An aparthotel with an underground access to the adjacent thermal bath - where can you find such a thing? Of course in Bad Hofgastein! The Thermenappartements in the Kurparkhotel are a premium partner of the Alpentherme Gastein and enable a comfortable access anytime. Our guests will enjoy the exclusive advantage to reach it anytime in their bathrobe, regardless of the weather, comfortably and entirely casually. 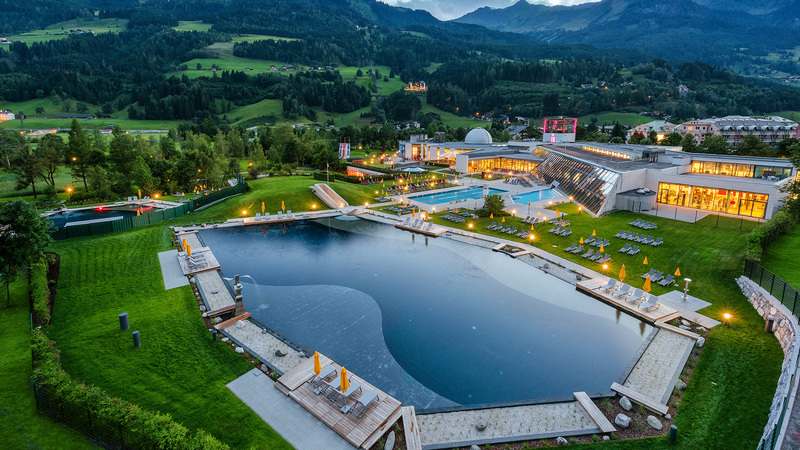 The Alpentherme Gastein will await you with thermal water in its four adventure worlds for convalescence and therapy as well as an exclusive beauty and spa area. Your recreative stay in Bad Hofgastein will counteract health problems and improve your whole well-being. Radon has a very positive effect on inflammations, respiratory diseases, consequences of injuries, skin problems and a lot more. And of course it simply makes you happy to feel the effect of the warm thermal water on your body, mind and soul. 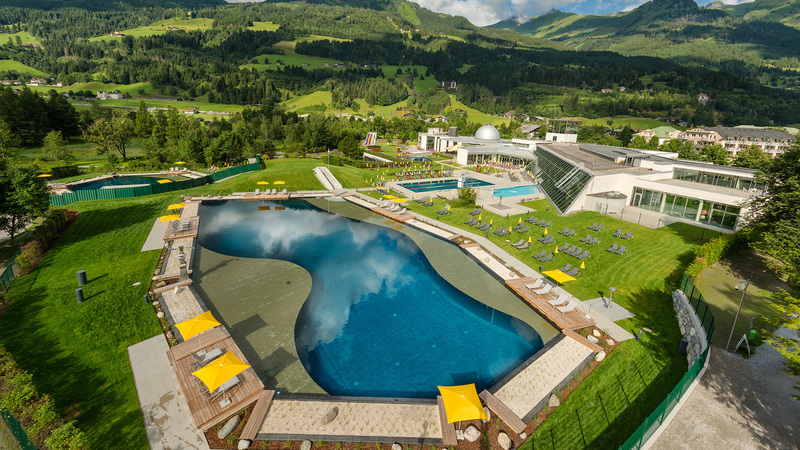 Also, beauty and well-being will not be left out in the Alpentherme Gastein. Choose from facial and body treatments, massages and a lot more in your wellness holidays, in short: Wellness just like in your dreams. As a spa and holiday guest, you will feel right at home in the Thermenappartements. Here you will find all conditions that you could desire for a relaxing health stay and a beautiful holiday stay in Bad Hofgastein. While you spend your time with treatments and applications, your family or your partner will never get bored. After all, the Thermenappartements are the ideal starting point for activities of all kind: Hiking, biking, swimming, skiing, cross-country skiing, winter hiking, tobogganing or ice skating and much more. Do you want to know more about our aparthotel with direct access to the thermal bath in Bad Hofgastein? The Thermenappartements team is looking forward to your message and will answer all of your questions.